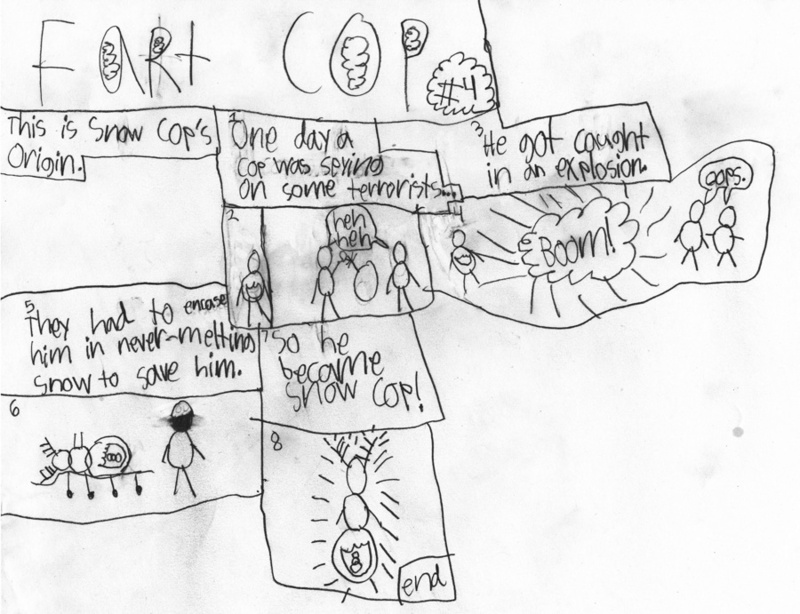 In Fart Cop #4, we learn the origin of Snow Cop. Interestingly, it is vaguely reminiscent of Robocop, which as far as I know neither of my children have ever seen. Enough talking! Here it Fart Cop #4.